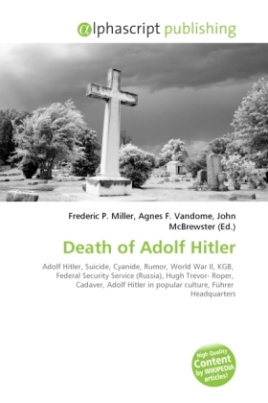 The generally accepted cause of the death of Adolf Hitler on 30 April 1945 is suicide by gunshot and cyanide poisoning. The lack of public information concerning the whereabouts of Hitler's remains, confused reports stemming from the dual method and other circumstances surrounding the event encouraged rumours that Hitler may have survived the end of World War II. Records kept by the Soviet KGB and Russian FSB were opened in 1992 and mostly matched the widely accepted version of Hitler's death as described by Hugh Trevor-Roper in his book The Last Days of Hitler published in 1947. However, the Russian archives yielded more detailed autopsy information along with what happened to the corpse.